In San Antonio, it’s not Christmas without tamales. Whether they are given as gifts or part of Christmastime meals, tamales are central to the holiday season. This time of year, many families across the area gather together for an annual tamalada to make tamales from scratch using recipes handed down over generations. Others put in their order at a local tamale shop. Whether you make or order these delicious bundles of masa and meat, tamales are a must-have holiday treat and are part of many a Texans’ holiday memories. Inspired by this local holiday tamale tradition and all the memories that come with it, the fifth annual Tamales! 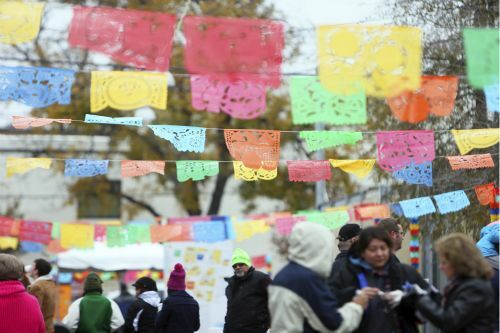 Holiday Festival will be from noon-6 p.m. Saturday, Dec. 6, at Pearl. In past years, the festival has attracted up to 20,000 people for food, fun, music, culture, and activities for kids.